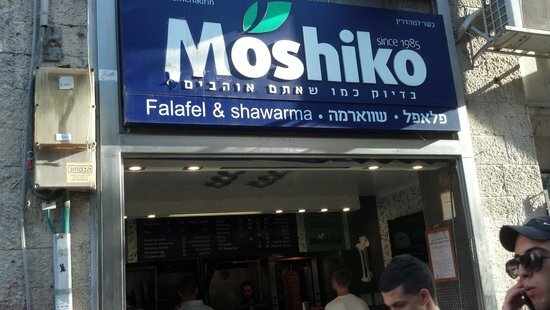 Israel’s Health Ministry reported on Monday, January 14, 2019, that poultry and salads found in Moshiko Shwarma, located at 5 Ben-Yehuda Street in Jerusalem, were taken to be destroyed after they were found kept under unsanitary conditions and the situation in the store was ideal for cross-contamination”. This is a Jerusalem Rabbanut mehadrin kosher shwarma store often frequented by American students studying in yeshiva as well as tourists. The ministry spokesman’s report read: On January 14, 2019, an inspection was conducted by the district veterinarian and the inspectors of the Jerusalem District Health Office, with the participation of the Jerusalem Municipality’s business license inspectors at the Shawarma Moshiko dining room. During the inspection, severe defects were found, very poor infrastructure, conduct leading to cross-contamination that could endanger public health. In addition, most of the poultry products were found at a dangerous and uncontrolled temperature, and other food (salads and falafel mixture) under cross-contamination conditions. All food products were kept in very poor sanitary conditions. The handling of meat, poultry and fish products and their storage and marketing without the conditions required by legislation may harm public health. My friend who worked in a bakery for many years, came up with a good rule of thumb to follow: If the sprinkles don’t move, you can eat it.